Who didn't loved Delores! Just seeing the twinkle in her eye when playing numerous roles let you know she truly enjoyed her character choices and didn’t mind one bit being put in the niche playing motherly roles. She reveled in it! One of her personal quotes was, “Everybody's a teacher if you listen.” This gives us all insight into the depth of this woman’s faith and trust in the universe and how guided we all are if only we pay attention. Doris May Green was born on November 4, 1925 in St. Louis, Missouri to Ann and Larry Green, both from Jewish immigrant families (from Russia). Her father was related to vaudeville performer Henry Lewis. When she was about 10 years old, her father abandoned the family. She struggled with his departure for years. Doris told Parade magazine, “I always thought he left us because I wasn’t pretty enough, smart enough, tall enough. Something was wrong with me, otherwise my father would never have left my mother.” This forced her mother Ann to single-handedly raise Doris on her own. They then moved to live with her mother's parents in the Bronx for a time. Her mother later remarried and Doris eventually took her stepfather's name, Roberts. Doris discovered acting at an early age. She was in a kindergarten play when she got her first taste of audience appreciation. As she writes on her Facebook page, "when I heard the audience burst with laughter, I knew I wanted to be an actor!" Yet she put this love off to continue her education. She graduated from DeWitt Clinton High School in The Bronx, New York City, New York, at age 16. After high school, she attended New York University, but dropped out to pursue acting full time. With the encouragement of Lily Tomlin she moved to Los Angeles, California, in 1973, to become an actress and paid her dues for many years before becoming an "overnight" success. Doris was best known by the public for her roles as Mildred Krebs on Remington Steele and as Marie Barone on Everybody Loves Raymond. 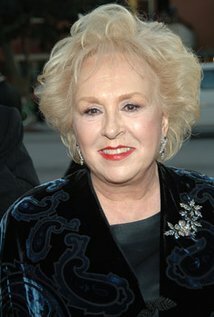 She suffered back problems and broke her herniated disc during filming of Remington Steele and beat out 100 other actresses for her role, of "Marie Barone", on Everybody Loves Raymond. At first, she turned it down, due to her busy schedule of the stage, but had no way out with it. She was originally cast as Vivian in Maude, but the producers thought she was too much like the main star Bea Arthur. After shooting the pilot, she was replaced with Rue McClanahan. Between 1983 and 2004, Doris received 11 Emmy nomination and won 5 Emmys for Outstanding Supporting Actress in either a Drama or Comedy series. In addition to acting, she was also an author and activist. She hit the New York Times best-seller list in 2005 with her book Are You Hungry, Dear? Life, Laughs, and Lasagna. She was a supporter of numerous causes. One, as an animal activist, being Puppies Behind Bars and the Children with AIDS foundation. Roberts had also campaigned against age discrimination and testified on the matter before Congress. Her first husband was Michael Cannata and their son, Michael Cannata, Jr. was Roberts' manager and is father of her three grandchildren: Kelsey, Andrew, and Devon. Doris’ second husband was writer William Goyen whom she was married to from 1963 until his death from leukemia on August 30, 1983 in Los Angeles, California. Together they founded the Doris Roberts-William Goyen Fellowship in Fiction through the Christopher Isherwood Foundation in 2001. The monetary award is given annually and intended to support writers who have published at least one book of fiction, either a novel or a collection of stories. Delores was awarded a Star on the Hollywood Walk of Fame at 7021 Hollywood Blvd for Television. This beloved woman died in her sleep in Los Angeles, California, on April 17, 2016, at the age of 90. She will be missed by so many all over the world. Thankfully reruns make it possible for us to visit with her whenever we need a fix of “Motherly Love” the Doris Robert style.